Danthure, also spelt Danture or Dhantura or Danthre, is a village 15 km to the west of Kandy, 2.5 km north of Henawala, the latter being located at the Colombo-Kandy mainroad A1. To be honest, Danthure is not a must-see in Sri Lanka. But those historically interested heritage tourists who visit other places in the area, such as the Gadaladeniya temple in 6 km distance, might consider a short detour to Danthure. 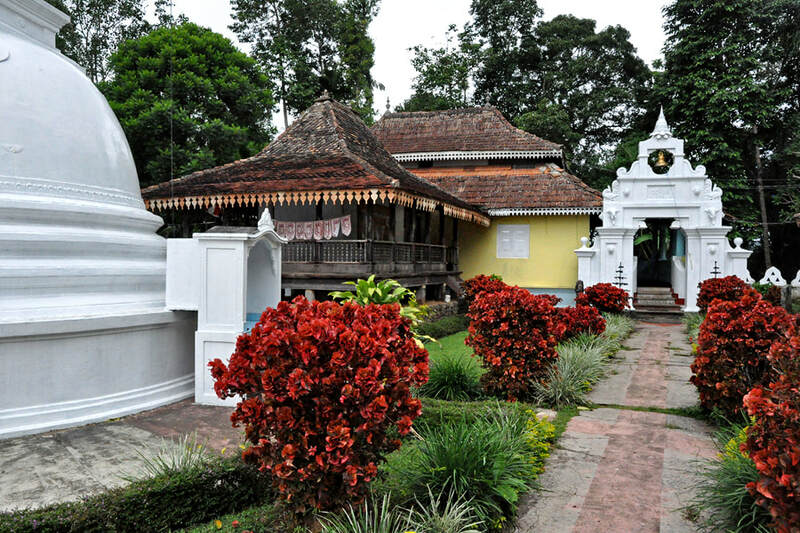 The Danthure Rajamaha Viharaya is a typical Sri Lankan village temple. The most interesting feature is a pillared house. Such shrines mainly made of wood but placed on small stone pillars are typical of the Kandyan period. Like storage rooms from the same period, the small shrine rooms containing statues or relics or scriptures are elevated to protected the objects of value against rats, ants and moisture. The Danthure temple, only a little bit off the beaten path, is an even better example than the slightly more frequented Tampita Viharaya in Habarana. “Tampita” means pillars or stone stilts. In general, “Tampita” is not only the name of one specific temple in Habarana but of all structures of this kind. The upper floor of the Tampita temple in Danthure is a small image house made mainly of wood. 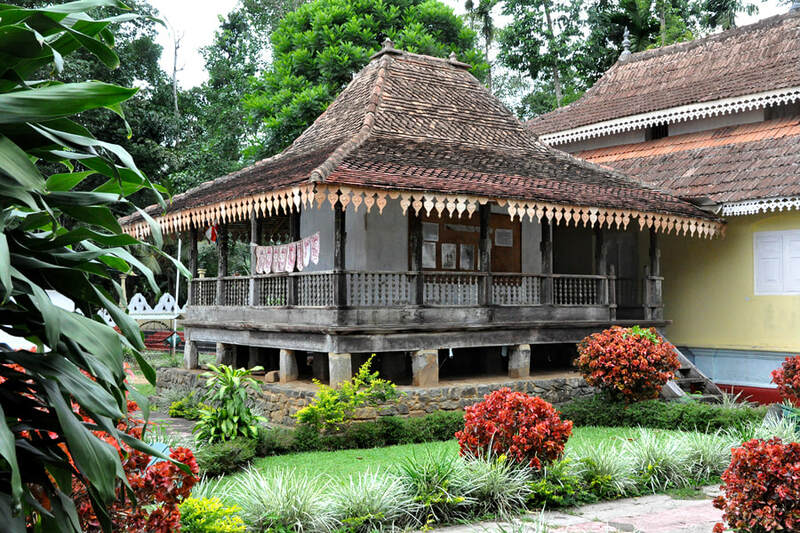 Its porch too is a typical feature of temples built in the Kandyan period. 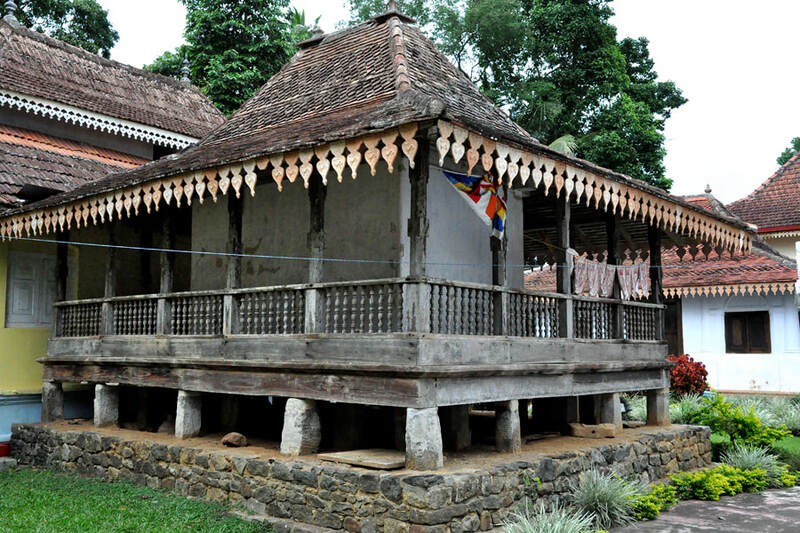 The unknown Danthure Rajamaha Vihara, though small in size, is an excellent example of bot the Tampita and the verandah architecture of the Kandyan period. To historians, Danthure is well-known, as it is the place where a decisive battle took place. The Danthure battle was faught between the armies of Kandy’s first king, Wimaladharmasuriya I (1592 – 1604) and the Portuguese invaders. The complete annihilation of the Portuguese army and the victory of Wimaladharmasuriya, also known as Vimala Dharma Suriya, are considered to be the turning point in the history of Portuguese occupation and the defining moment of the establishment of the Kingdom of Kandy. Actually, it was not a single battle but a campaign comprising a series of encounters. A 20,000-strong Portuguese force, mainly consisting of mercenaries from Asia, was led by the Portuguese governor to suppress Sinhalese rebellions the power centre of which was the Kandyan hillcountry far away from the coastal forts of the Portuguese. The colonial forces indeed captured Kandy in 1594 and were able to establish a garrison. The Sinhalese however, avoiding a direct combat, engaged in a guerilla warfare along the supply roots of the occupying forces. They succeeded in cutting them off from the supply from Colombo. This resulted in mass desertions of mercenaries in Kandy. What remained of the Portuguese forces after three months, was finally annihilated on their way back to Colombo, in Danthure.